Tamgaly Kopa. 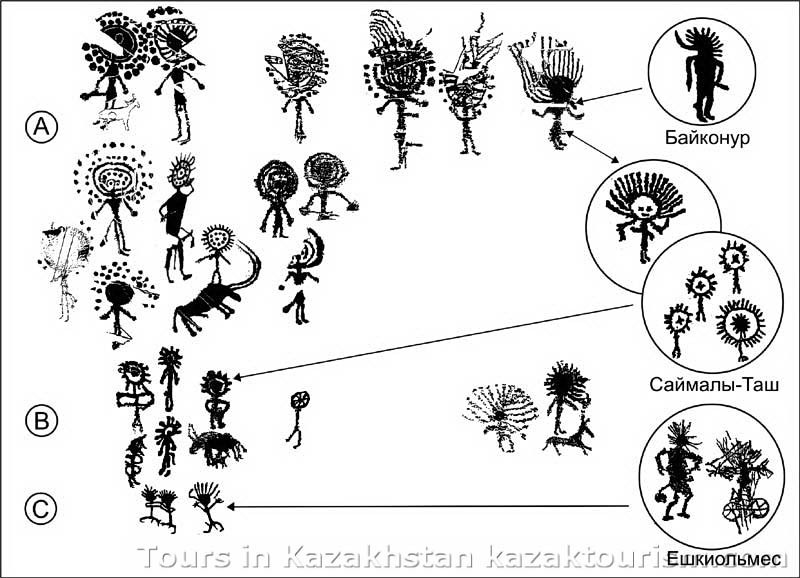 Description of beautiful place for tours and excursions in Kazakhstan. Tamgaly natural boundary is located 170 km towards the northwest of Almaty. There was a mountain holy place in the Bronze Age (over 3000 years ago). The small canyon of Tamgaly is interesting because of thousands of petroglyphs on its rocks. Obviously their creators intended to decorate the stone walls with something important to them. This small canyon is the most popular tourist attraction of Tamgaly at the entrance to the valley. The rocky slopes shape the valley in a fancy way by forming a nearly closed space. For thousands of years the desert varnish covered wide and smooth surfaces of rocks and created a perfect foundation for this natural gallery where several generations of ancient masters have been creating rock engravings. The rocks of the canyon and narrow valley of Tamgaly acted as a sanctuary for different nations leaving an imprint on the history of Kazakhstan for centuries. Some ritual ceremonies of ancestor and gods worship were performed there. And even nowadays there is still a tradition to tie some colorful pieces of fabrics to the branches of bushes. They seem to be plain sacrifices of modern pilgrims.Tamgaly rocks engravings are an important scientific source and have a great artistic value as well. The creators of ancient drawings skillfully used the phenomenon of desert varnish – this is a very thin layer called patina that covers the surface of the rocks. It was formed by the oxides of magnesium, manganese, iron, as well as by colonies of some types of microorganisms. Ancient artists removed a layer of patina shaping a picture by hitting with a stone or metal tool. In this way they achieved a contrast between the bright image and the dark rock surface. In the course of time (some centuries later) the desert varnish covered the images again so they darkened and vanished on the rocks’ surface. This is why the engravings had to be restored by removing of patina. 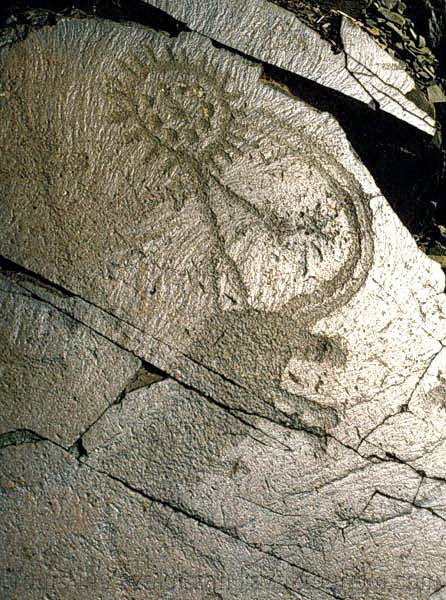 In Tamgaly you may sometimes see some rock engravings on the same surface that come in different colors; usually the darkest petroglyphs are the most ancient and they are hardly visible on the surface, but medieval and modern figures look much brighter. 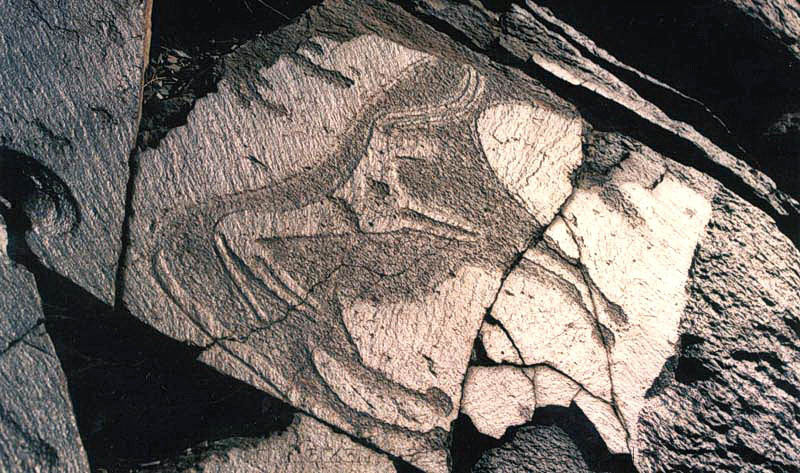 Often petroglyphs created at different times overlap each other. 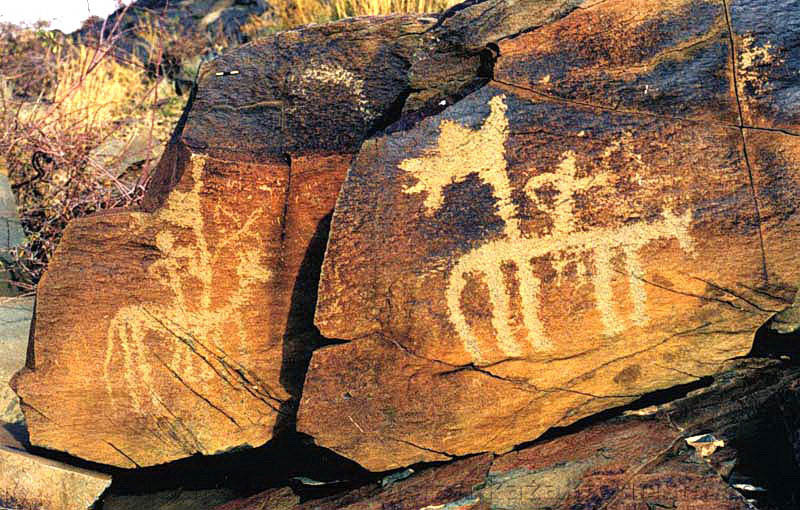 They create multi-layer compositions (they are called palimpsest) and color of patina helps to identify the approximate age of the engravings.The most ancient petroglyphs were engraved on plane surfaces oriented to a certain direction only. In the valley there is a place in front of each canyon rock from where all the drawings from the Bronze Age can be seen at the same time merging in some complex compositions. Such areas are 20-40 meters far from the rocks, although the images are still clearly visible.There are about hundred different monuments in Tamgaly - settlements, cemeteries, altars and petroglyphs belonging to the Bronze Age, early Iron Age, Middle Ages and modern times. All the monuments are concentrated in a relatively small area. Together they form an archaeological complex witnessing history of many ancient and modern nations of Kazakhstan over three millennia. The rock engravings gallery Tamgaly shows the whole artistic story, based on an ancient mythology of the Bronze Age tribes. 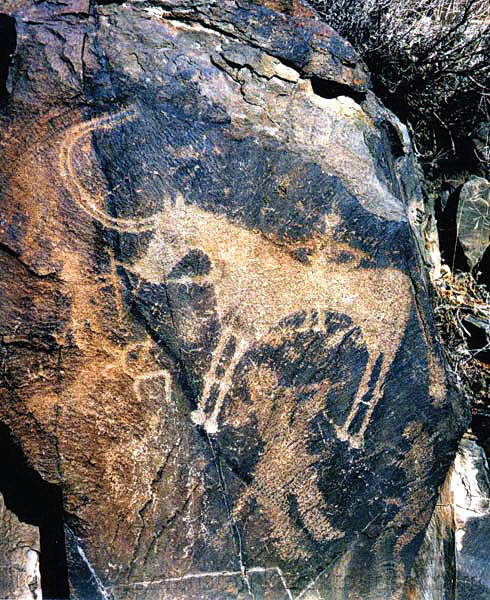 The petroglyphs could be displayed during the collective rituals and ceremonies. They also served as an important resource of emotional impact in the sacred knowledge transmission from generation to generation.